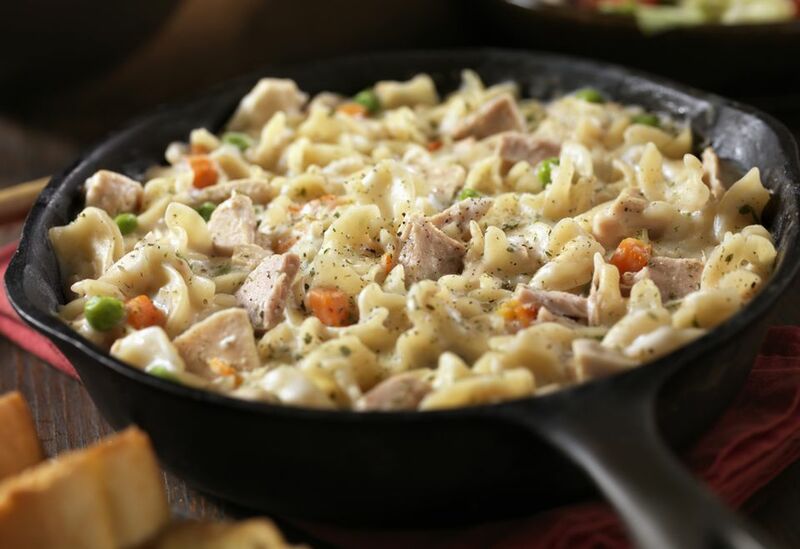 This tuna and macaroni casserole is a flavorful combination, and it's a whole meal in one dish. Mixed vegetables and hard-cooked eggs add the nutritional content, and condensed soup makes the sauce easy. Grease a 1 and 1/2-quart casserole or baking dish. Put 2 tablespoons of butter in a large skillet over medium heat; add onions and peppers. Cook until onions are softened. Add flour, milk, and soup; stir until thickened. Add pimiento, vegetables, tuna, mixed vegetables, chopped eggs, and cooked macaroni. Taste and add salt and pepper. Place in the prepared casserole or baking dish. Toss the breadcrumbs with the 2 tablespoons of melted butter. Sprinkle the crumbs evenly over the top and bake for about 30 minutes, or until nicely browned.